One of Jerome Robbins' most iconic dances from the 1961 film West Side Story. Via Giphy. Since news that Steven Spielberg was directing a remake of West Side Story was released last winter, we've been eagerly awaiting any and all updates. Last month, Justin Peck was brought on board as choreographer, joining famed playwright Tony Kushner, who's adapting the script. Peck seemed like the obvious choice; in addition to following in original West Side Story choreographer Jerome Robbins' sneaker-clad footsteps as resident choreographer of New York City Ballet, he recently took home a Tony Award for his work on Carousel. NYCB ballet master Craig Hall with Peck onstage. Photo by Erin Baiano, Courtesy NYCB. 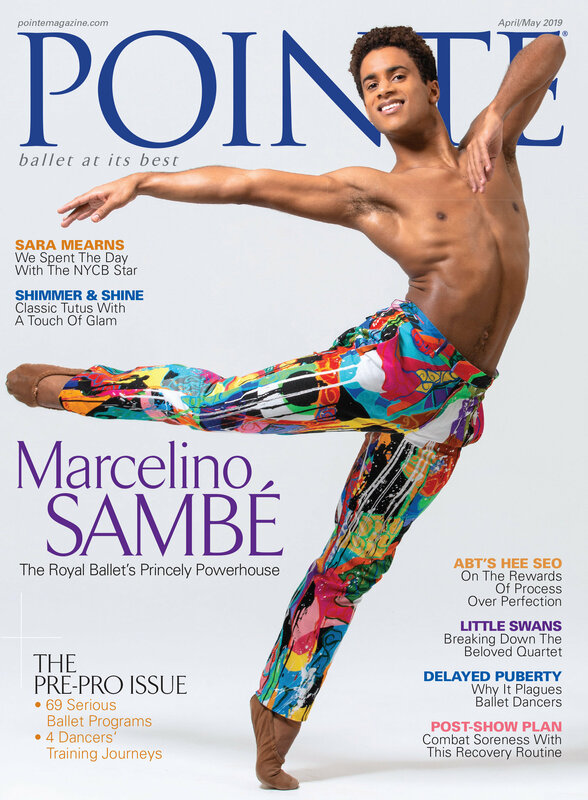 How does Justin Peck do it all? The Tony-award-winning resident choreographer at New York City Ballet is still performing as a company soloist. Yet he somehow manages to have his work performed by companies all over the world. Like most busy choreographers, he has répétiteurs who stage his work. When Peck started choreographing for NYCB, Albert Evans was the ballet master at his side, but he passed away unexpectedly in 2015. The sudden, tragic loss, combined with his rapid success, meant Peck had to quickly find a group of trustworthy stagers. He turned to dancers he'd worked with, all in their late 20s or early 30s, who had no experience staging ballets. The opportunities Peck had to offer changed their career trajectories, and gave them a chance to be part of the legacy he's building. "I feel like, how did this happen to me?" says Patricia Delgado who stages Peck's work, and who is also his fiancé. "I grew up idolizing Balanchine and Robbins, but I knew when I passed it on, I'd have to say I learned it from so-and-so. I feel lucky now to be able to pass on work born in my generation." We caught up with four of Peck's busiest "right hands." Zien and Peck during rehearsals for "Carousel." Photo courtesy Zien. Tworzyanski (kneeling on the ground) with Peck in rehearsal. Photo courtesy Tworzyanski. Hall with NYCB dancers Brittany Pollack and Emilie Gerrity. Photo by Erin Baiano, courtesy NYCB. Delgado (far left) and Peck at Boston Ballet with ballet mistress Shannon Parsley. Photo by Sabi Varga @ Varga Images, Courtesy Boston Ballet.